Objective To achieve my ultimate potential in an innovative and commercial environment that fully utilises my IT skills. A highly experienced consultant with extensive knowledge of the full IBM Tivoli Netcool and NetIQ Business Service Management product suites. A security expert with specific skills in SIEM, APT and Security Intelligence.IBM specialisation in Cloud & Smarter Infrastructure (CSI) / Tivoli Netcool.Abilisoft Certified Consultant in Abilisoft Enterprise and Security Information and Event Management (SIEM). 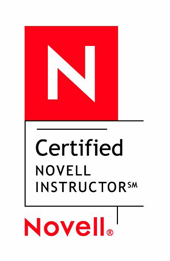 Novell / NetIQ specialisation in Business Service Management. Security specialisation in IBM Security, Q1 Labs QRadar and Trend Micro Deep Discovery. Professional services and training delivered worldwide: Europe, Middle East, South Asia, Africa and Australia. Linux, Unix (Solaris/AIX), SQL, Microsoft skills and general networking knowledge. Understanding of Oracle and DB2 databases. Excellent problem investigation and solving skills. ITIL v3. Security: Nmap, Snort, Portsentry, Wireshark, DSniff, Tripwire, Nessus. System Hardening and Penetration Testing. Technical team lead and pre-sales. System Architecture, design and technical pre-sales for Mibtree covering Europe, Middle East, Pakistan and Africa. On-site Consultancy and training delivery to Mibtree customers. Security consultant for SIEM solutions. System Architecture, design and technical pre-sales for Innovise ESM Africa. System Architecture, Design and on-site Consultancy to Innovise ESM customers – primary product capabilities are on the IBM Tivoli Netcool Suite and Novell Business Service Manager. Training delivery and course development. HBL, Pakistan – Project Manager/Technical Lead. Mobilink, Pakistan – Systems Architect. T-Systems, South Africa – Project Manager/Technical Lead. Standard Bank, South Africa – Systems Architect. Architecture Design, development and deployment of the IBM Tivoli Netcool suite of products. Specialising in Proviso, including full distributed architecture installation, version upgrades from 4.3 to 4.4.x, configuring collectors, application pack development, development of tailored reports and customised web pages. Deployment and development of several Netcool core product installations. Deployment and development of Managed Objects solutions for numerous customers and delivery of product training internationally. Deployment of security event management solutions for numerous customers. Technical lead for various projects. On-site Consultancy to Abilitec customers – primary product capabilities are on the IBM Tivoli Netcool Suite and Managed Objects. Maintain and support Windows (NT/2000/XP), Apple Mac OS and Linux infrastructure. Harden servers and perform penetration tests for Maxon Computer Corporate, covering UK, USA and Germany. Technical consultant for Maxon Computer Corporate. Provide technical support for in-house software. C++ Developer for Commodore Amiga. activities Karate – Martial Arts instructor, over 25 years experience. Keeping fit, motor racing and new technology.